This guide is for the Snowball Edge. If you are looking for documentation for the Snowball, see the AWS Snowball User Guide. The Snowball and the Snowball Edge are two different devices. This guide is for the Snowball Edge. If you are looking for documentation for the Snowball, see the AWS Snowball User Guide. Both devices allow you to move huge amounts of data into and out of Amazon S3, they both have the same job management API, and they both use the same console. However, the two devices differ in hardware specifications, some features, what transfer tools are used, and price. 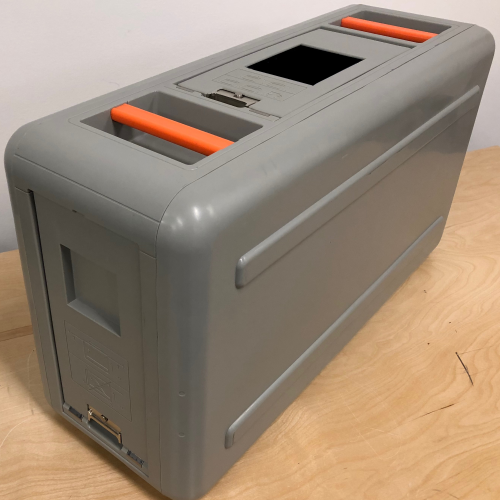 Snowball Edge Storage Optimized – This option of Snowball Edge device has the most storage capacity at up to 80 TB of useable storage space, 24 vCPUs, and 32 GiB of memory for compute functionality. Snowball Edge Compute Optimized – This option of Snowball Edge device has the most compute functionality with 52 vCPUs, 208 GiB of memory, and 7.68 TB of dedicated NVMe SSD storage for instances. This option also comes with 42 TB of additional storage space. Snowball Edge Compute Optimized with GPU – This option of Snowball Edge devices is identical to the compute optimized option, save for an installed GPU, equivalent to the one available in the P3 Amazon EC2 instance type. For more information on the compute functionality of these three options, see Using Amazon EC2 Compute Instances. When this guide refers to Snowball Edge devices, it's referring to all optional variants of the device. Whenever specific information applies only to one or more optional configurations of devices, like how the Snowball Edge Compute Optimized with GPU option has an on-board GPU peripheral, it will be mentioned explicitly. Workloads that need GPU support require the Snowball Edge Compute Optimized with GPU option. Following is a table that shows how the devices differ from each other, physically. For information on specifications for the Snowball, see AWS Snowball Specifications. 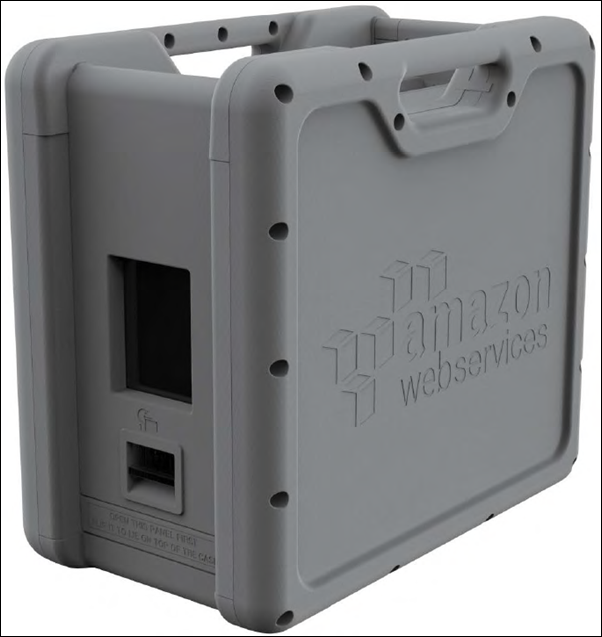 For information on specifications for the Snowball Edge, see AWS Snowball Edge Specifications. The Snowball client must be downloaded from the AWS Snowball Edge Resources page and installed on your own powerful workstation. Can transfer data to or from the Snowball. For more information, see Using the Snowball Client. Encrypts data on your powerful workstation before the data is transferred to the Snowball. The Amazon S3 Adapter for Snowball must be downloaded from the AWS Snowball Resources page and installed on your own powerful workstation. Can transfer data to or from the Snowball. For more information, see Transferring Data with the Amazon S3 Adapter for Snowball. The Snowball client must be downloaded from the AWS Snowball Edge Resources page and installed on your own computer. Must be used to unlock the Snowball Edge or the cluster of Snowball Edge devices. For more information, see Using the Snowball Client. Can't be used to transfer data. Is already installed on the Snowball Edge by default. It does not need to be downloaded or installed. Can transfer data to or from the Snowball Edge. For more information, see Using the Amazon S3 Adapter. Encrypts data on the Snowball Edge while the data is transferred to the device. Can transfer data by dragging and dropping files up to 150 GB in size from your computer to the buckets on the Snowball Edge through an easy-to-configure NFS mount point. For more information, see Using the File Interface for the AWS Snowball Edge. With a Snowball Edge, you can use the AWS IoT Greengrass console to update your AWS IoT Greengrass group and the core running on the Snowball Edge. The following outlines the differences between the network adapters, cables used, and cables provided for the Snowball and Snowball Edge. Supported Network Hardware in the AWS Snowball User Guide. Supported Network Hardware in this guide.